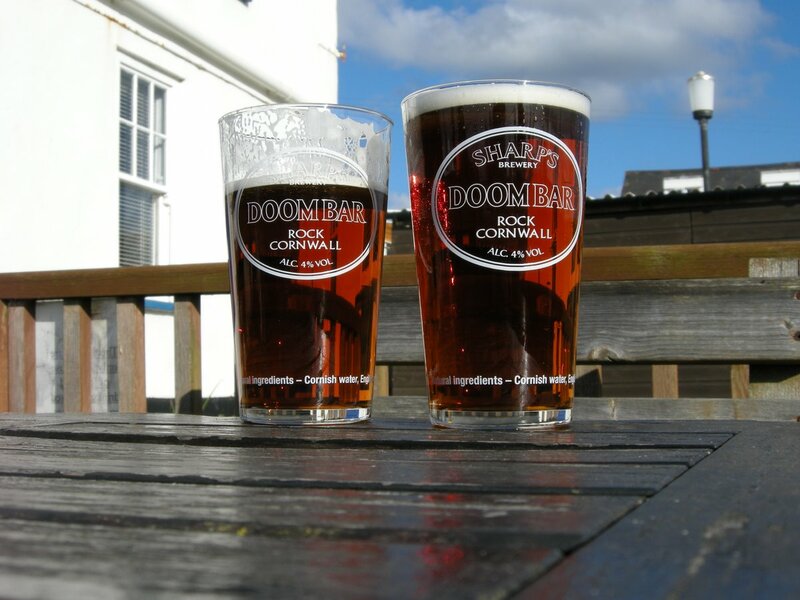 Those of you that have noticed the unrelenting march eastwards of the Cornish ale Doom Bar might not be surprised to hear that its brewer (Sharp’s) has been sold to Molson Coors. You might, however, gasp a little at the £20 million it sold for. The price tag demonstrates that the business of real ale isn’t to be sniffed at, but when that sort of money is changing hands I can’t help but worry about the future quality of the beer – in a world that places profit before almost everything else. But maybe I’m just a cynic. Industry reaction has been to cautiously welcome the news, but fears have been raised for Cornish jobs – not to mention the future of Sharp’s other ales – especially if the new owners decided to move the brewery from its home at Rock on the north Cornwall coast. I suppose only time will tell, but I’m sure you can expect to find Doom in even more pubs than you do now. On a somewhat lighter note, the news about Sharp’s coincides with a piece I wrote for Cornwall Today magazine about the county’s ales. Grab a copy of the March issue to read how Sharp’s came this far and about Cornwall’s other marvellous ales – somewhat overshadowed by their more commercially successful cousin. My word limit for the piece meant that I wasn’t able to include the opinions of real ale drinkers about what they love – and hate – about Cornish beer, so I’ll take the opportunity to do so here. Dave Jones from Plymouth is mostly a Guinness drinker, but also enjoys Cornish ales, especially when he’s away from the area. “I tend to look out for Cornish ales when I’m out of the South West and Guinness is unavailable because I know I’m going to get a very decent pint,” he told me. Cornish natives are justly proud of the beers Cornwall has to offer, but can find themselves spoiled for choice. Rachael Pine is originally from Falmouth. She says: “I always experience that buzz of anticipation and excitement when entering a decent pub, what beer will they have for me to choose from? Will I go for truly local – I live in Devon, or will I go for local to my heart – meaning Cornish. I’m rather partial to a pint of Heligan Honey myself and, like Spud and Pat, also enjoy a pint of Tribute. I like Doom Bar too, but have also found that some pubs serve it better than others (which is probably true of any beer). 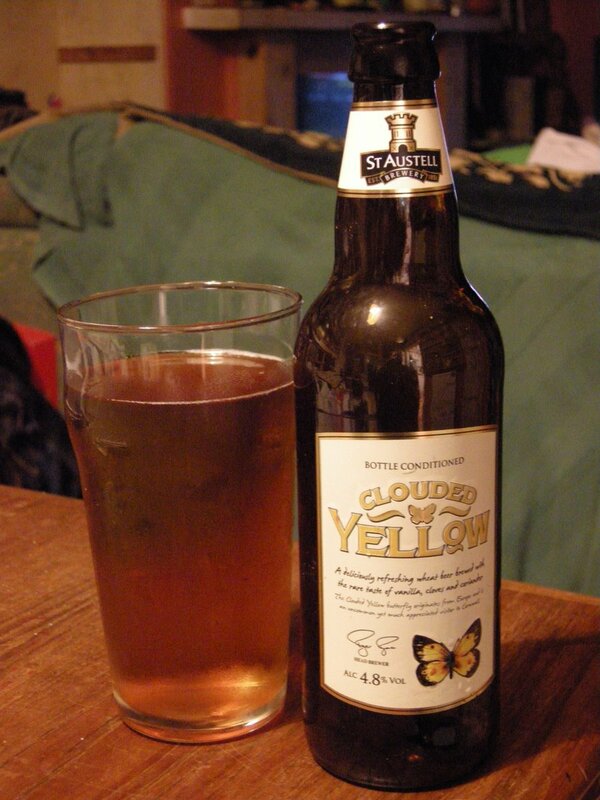 My favourite Cornish beer though, indeed one of my favourite beers in general, is the bottle conditioned gem brewed by St Austell, Clouded Yellow. For those that don’t know it, Clouded Yellow is a vanilla flavoured wheat beer. It is very sweet and I think it goes well with curry or Thai food, but maybe it’s more of a woman’s beer (my Lord!)? Whether you opt for a bottle of Clouded Yellow, some Doom Bar, Tribute, a pint of Skinner’s, or something from one of the county’s many microbreweries be in no doubt that Cornwall is well and truly on the real ale map. Overlook Cornish beer and you’ll be missing out big time. Next Brilliant Brewery For Sale! Hi Sophie it just goes to show that beer drinking is about more than just the beer – it’s about where you are, who you’re with and what you’re doing too! Beer quality can vary from pub to pub depending on how well they clean their lines and glasses but Rob is right, beer is brewed to travel so it will be as great however far you are away from the brewery. But I still think the best pint of Guinness is in Dublin – crazy I know but there’s something special about being close to the brewery and being part of the craic that makes it very different!! I’m glad I can reassure you about the future of Sharp’s. I work at Molson Coors and we have no plans to close the brewery at Rock and far from job worries we’re actually recruiting for more people there. And I can 100% reassure you you don’t need to worry about the quality of the beer. It will continue to be brewed at the same brewery, by the same people using the same ingredients just with more investment (we’ve just taken delivery of 2 new fermenting vessels for example)and as you point out you’ll be able to find it in more pubs tasting just as great as it does in Cornwall! !